FEMA administrator Brock Long, right, looks on acting Secretary of Homeland Security Elaine Duke speaks to reporters about hurricane recovery efforts in Puerto Rico, outside the White House, Tuesday, Sept. 26, 2017, in Washington. WASHINGTON, D.C. (WSFA) - Brock Long called it “the opportunity of a lifetime,” but said it’s time to go home to his family after two years serving as President Donald Trump’s director at the Federal Emergency Management Agency, or FEMA. Long, who has considerable connections to Alabama, made the resignation announcement in a tweet Wednesday afternoon. “While this has been the opportunity of the lifetime, it is time for me to go home to my family – my beautiful wife and two incredible boys. As a career emergency management professional, I could not be prouder to have worked alongside the devoted, hardworking men and women of FEMA for the past two years." It has been a great honor to serve our country as @fema Administrator for the past two years. While this has been the opportunity of the lifetime, it is time for me to go home to my family. 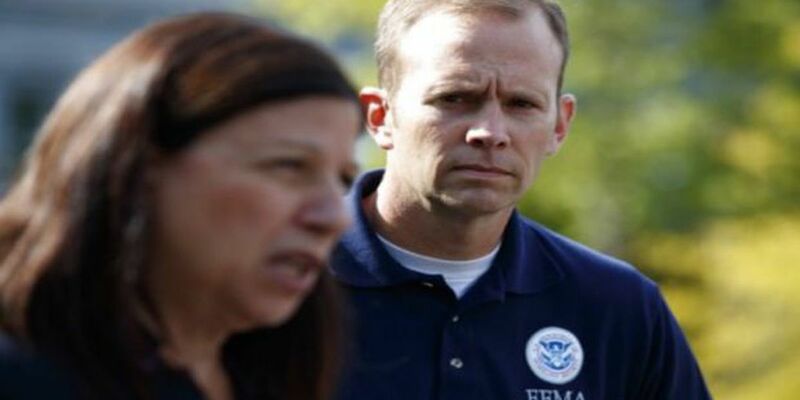 Long’s tenure with FEMA wasn’t without controversy. Reports indicate he’s been the focus of an investigation into misuse of government resources. At the time reports came to live of the investigation, Long stated he had no intention of resigning. Prior to his work on the national level, Long made a name for himself in Alabama where, from 2008-11, he served as the state’s Emergency Management Agency Director during the administration of Gov. Bob Riley. Long was an on-scene State Incident Commander for the Alabama Unified Command during the Deepwater Horizon oil spill that devastated the Gulf Coast. Prior to his position as Director at AEMA, Mr. Long was a FEMA Regional Hurricane Program Manager, FEMA Hurricane and Evacuation Liaison Team Leader, and statewide school safety coordinator for the Georgia Emergency Management Agency.